Update: The House Majority Leader didn’t put S.2520 on Thursday’s legislative calendar (PDF). Per Congress.gov, it was “held at the desk.” We can’t pronounce it dead until 3:30 PM, as the Speaker of the House could bring the bill up by unanimous consent, but FOIA reform in this Congress likely just expired at midnight. Imagine if an important reform to public access to government information hung in the balance in the United States Congress and the editorial boards of the country’s major newspapers ignored it. Unfortunately, that’s exactly what has happened. Only a few weeks ago, it looked this ‘do nothing Congress’ was actually set to do something: pass much-needed reforms to the Freedom of Information Act. Over the weekend, an unexpected hold in the Senate by Senator Jay Rockefeller put months of bipartisan collaboration in jeopardy. If the U.S. House of Representatives doesn’t schedule a vote tomorrow on the Freedom of Information Improvement Act that passed the Senate on Monday, however, FOIA reform will quietly expire. Senator Patrick Leahy (D-VT), the chairman of the Senate Judiciary Committee, is urging the House to pass the bill before the 113th Congress ends. “This legislation is all about government transparency. If House Republicans want this administration to be more accountable, then they must put it on the suspension calendar without delay. Let’s get it done,” Leahy said. “With the sun about to set on this congressional session, the House should not leave this sunshine bill undone, on the table. Time is quickly running out, and the House must act without further delay. Representative Darrell Issa (R-CA), the chairman of the House Oversight and Government Reform Committee, and Ranking Member Representative Elijah Cummings (D-MD) have also called on the House to pass the Freedom of Information Act (FOIA) Improvement Act and send it to President Barack Obama after its unanimous passage in the Senate. Given that FOIA reform passed the U.S. House unanimously 410-0 in February, why aren’t Speaker of the House John Boehner and Minority Leader Representative Nancy Pelosi bringing S.2520 to a vote? One source tells me that banks have sent lobbyists to the offices of House Financial Services members to oppose the FOIA reform and have told staff there that proprietary regulatory information could be released under the bill. FreedomInfo.org is also reporting that banking lobbyists are opposing the FOIA reform bill. This rumored pressure is in addition to the pressure of the same federal agencies that lobbied against the bill in the Senate. Word going around that banking industry lobbyists are pushing House leaders to oppose #FOIA Improvement Act at last minute. The paragraph secured support for the bill by the chairman of the Senate Banking Committee, Sen. Tom Johnson (D-SD), sources said. The relevant section of the report begins with a caution: “Extreme care should be taken with respect to disclosure under Exemption 8 which protects matters that are “contained in or related to examination, operating, or condition reports prepared by, on behalf of, or for the use of an agency responsible for the regulation or supervision of financial institutions.” The quote is from the FOIA. Currently, financial regulators rely on Exemption 8, and other relevant exemptions in Section 552(b), to protect sensitive information received from regulated entities, or prepared in connection with the regulation of such entities, in fulfilling their goals of ensuring safety and soundness of the financial system, compliance with federal consumer financial law, and promoting fair, orderly, and efficient financial markets. Exemption 8 was intended by Congress, and has been interpreted by the courts, to be very broadly construed to ensure the security of financial institutions and to safeguard the relationship between the banks and their supervising agencies. The D.C. Circuit has gone so far as to state that in Exemption 8 Congress has provided “absolute protection regardless of the circumstances underlying the regulatory agency’s receipt or preparation of examination, operating or condition reports.” Nothing in this legislation shall be interpreted to compromise the stability of any financial institution or the financial system, disrupt the operation of financial markets or undermine consumer protection efforts due to the release of confidential information about individuals or information that a financial institution may have, or encourage the release of confidential information about individuals. This legislation is not intended to lessen the protection under Exemption 8 created by Congress and traditionally afforded by the courts. There’s a lot at stake here, and almost no time on the legislative clock. It is, as Sean Vitka wrote for the Sunlight Foundation wrote today, literally do-or-die time for FOIA reform. It’s crunch time. It’s now or (almost) never: if Speaker of the House John Boehner doesn’t bring the bill up for a vote by unanimous consent today, the process begins again in the next Congress, but without key sponsors of the FOIA reforms in the House and Senate occupying the chairs of committees. If the people’s right to know what their government does in their name matters to you, please let your Member of Congress know that FOIA reform matters to you, and let the Speaker of the House know. You can email the Speaker directly through OpenCongress, call him up at (202) 225-6205 and tweet him @SpeakerBoehner. Even if the press won’t represent itself and the people by asking Congress to support the free flow of government information, you can. Update: FOIA reform failed to pass in the 113th Congress. As Newsweek reported, in an opaque move, Speaker Boehner tabled the government transparency bill. It was never brought up for a vote in the House. Unless the Speaker reconvenes the House, the FOIA bill is likely dead. “…the fact that the bill was very close and was tabled because of the influence of lobbyists that found a problem in the legislation that didn’t even exist is frustrating not only for those who wanted the bill to pass but for those who want the American democratic process to be a shining light for the world – not an embarrassment,” wrote Scott A. Hodes, at the FOIA Blog. “For all of his talk about his desire to hold the Obama Administration accountable, we find it unfathomable that that Speaker John Boehner would allow a bill that strengthens and reforms the Freedom of Information Act (FOIA) to die without a vote,” said Danielle Brian. “I am deeply disappointed that last night the House failed to pass the FOIA Improvement Act. This bipartisan bill was reported unanimously by the Senate Judiciary Committee last month, and it was the product of months of hard work by Senator Cornyn and me. Our bill is supported by more than 70 public interest groups that advocate for government transparency and it passed out of the Senate unanimously. 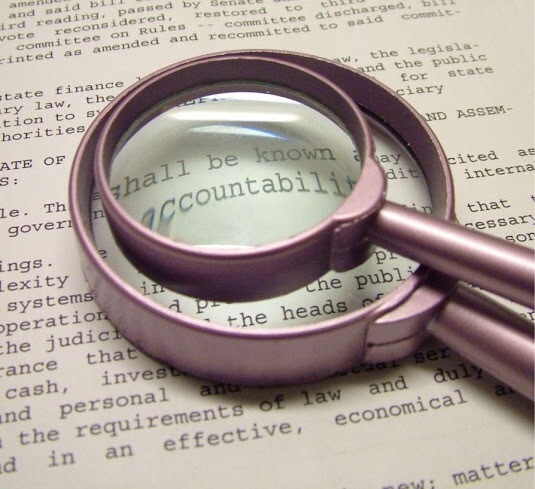 I would think that members of the House Republican leadership, who have spent so much time on oversight of the Obama administration, would support the goal of making government more accountable and transparent. But instead of supporting this bill, they have chosen secrecy over sunlight. “The FOIA Improvement Act would codify what the President laid out in his historic executive order in 2009 by requiring Federal agencies to adopt a ‘Presumption of Openness’ when considering the release of government information under FOIA. This bill would require agencies to find a foreseeable harm if they want to withhold information from the public. Prioritizing the people’s interest in what their government is doing, our bill will reduce the overuse of exemptions to withhold information. Federal agencies have been required to apply this standard since 2009. They also used this same standard during President Clinton’s terms in office. It was only during President George W. Bush’s term of secrecy that this standard was rolled back. It appears the House leadership wants to return to that era. It should not matter who is in the White House, information about what their government is doing belongs to the people. Postscript: Writing for the Sunlight Foundation, Matt Rumsey published a sunny post about the death of FOIA reform. The “foreseeable harm” section referred to by the Post would force federal agencies to justify withholding information if they wished to do so. Essentially, they would have to show the information would cause “foreseeable harm” if released. Not exactly a tall order. But what makes the Justice Department’s objection so shocking is that this “foreseeable harm” provision would not deviate at all from the Justice Department’s own policy. In fact, it was based on it. [T]he Department of Justice will defend a denial of a FOIA request only if (1) the agency reasonably foresees that disclosure would harm an interest protected by one of the statutory exemptions, or (2) disclosure is prohibited by law. An agency shall withhold information under this section only if a) the agency reasonably foresees that disclosure would harm an interest protected by an exemption described in subsection or other provision of law; or b) disclosure is prohibited by law. As you can see, the two passages are virtually identical. How does the Justice Department think this provision will lead to more lawsuits it would have to defend if they’re not supposed to be defending those lawsuits in the first place? The Justice Department is objecting to making its own supposed policy the law, and confirms what many have long believed: the agency does not want to—or have to—comply with its own FOIA rules. The DOJ has repeatedly been criticized for failing to enforce, and downright ignoring its own FOIA guidance for years, and their stance on transparency in general has been incredibly hypocritical. For example, Holder has claimed hewanted the torture report to be public as soon as possible, meanwhile fighting in court to prevent the release of any documents on its own torture investigation. Likewise, he’s claimed the Justice Department supports a federal shield law so reporters can protect their sources, while at the same time destroying the already-existing reporter’s privilege in the Fourth Circuit. On Saturday, December 20, the New York Times editorial board called for the 114th Congress to revisit the freedom to see government records. In doing so, it made no mention of the reporting on the cause of death by this blog, Vice News, the Washington Post, the Hill, Roll Call or Politico, nor lobbying by banks or federal agencies, nor silence by the White House while most of the press looked the other way. Government transparency is a human right.